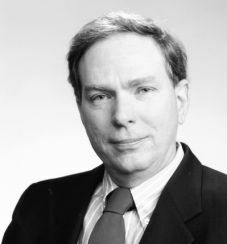 Dr. Stephen Kent is a pioneer in the architecture of network security systems, including the design and development of network layer encryption and access-control systems and standards; secure transport layer protocols; secure e-mail technology; Public Key Infrastructure standards and certification authority systems. He chaired the Internet Engineering Task Force working group of Privacy-Enhanced Electronic Mail, and he currently chairs the Internet Privacy and Security Research Group. He served on the Secure Systems Study Committee of the National Academy of Sciences and has lectured on network security throughout the United States, Europe and Australia. He earned a B.S. in mathematics from Loyola University of New Orleans, and S.M., E.E., and PhD degrees in computer science from the Massachusetts Institute of Technology. Today he is Vice President and Chief Scientist for Security Technologies at Raytheon BBN Technologies, where he has been engaged in network security research and development activities for over a decade.